Industrial modelling clay plays an important role in automotive design when modelling ‘class-A’ surfaces. 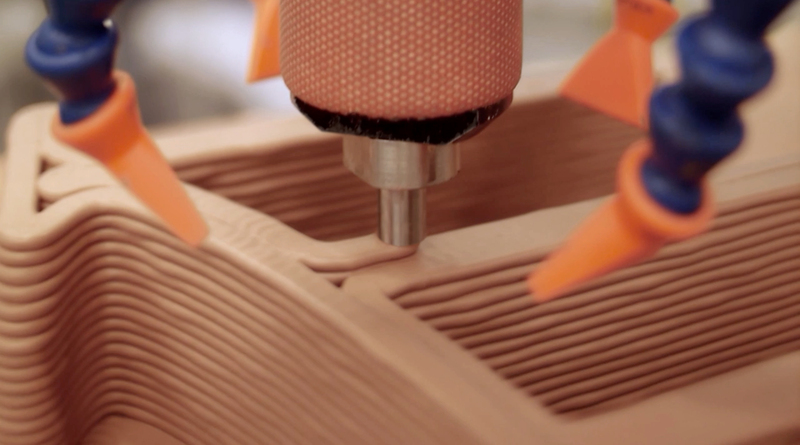 Design studios around the world use it to prototype vehicles at a 1:1 scale, combining several technologies: sculpting, CAD freeform surface modelling, 3D scanning and CNC machining. This research investigates the use of this material for additive manufacturing. This research investigates the use of Industrial modelling clay for additive manufacturing. Clay plays an important role in automotive design when modelling ‘class-A’ surfaces. Design studios around the world use it to prototype vehicles at a 1:1 scale, combining several technologies: sculpting, CAD freeform surface modelling, 3D scanning and CNC machining. This research has developed methods that enable modelling clays to be used for Additive Manufacturing (AM). This Liquid Deposition Modelling (LDM) technology exploits the phase-change properties of the material – which contains wax – allowing complex freeform surfaces to be printed quickly and efficiently – layer by layer. The research explores how this additive process can be integrated with CNC milling – giving rise to the term, ‘hybrid manufacturing’ – with a view to creating large-scale prototypes (i.e. 1:1 scale vehicles). 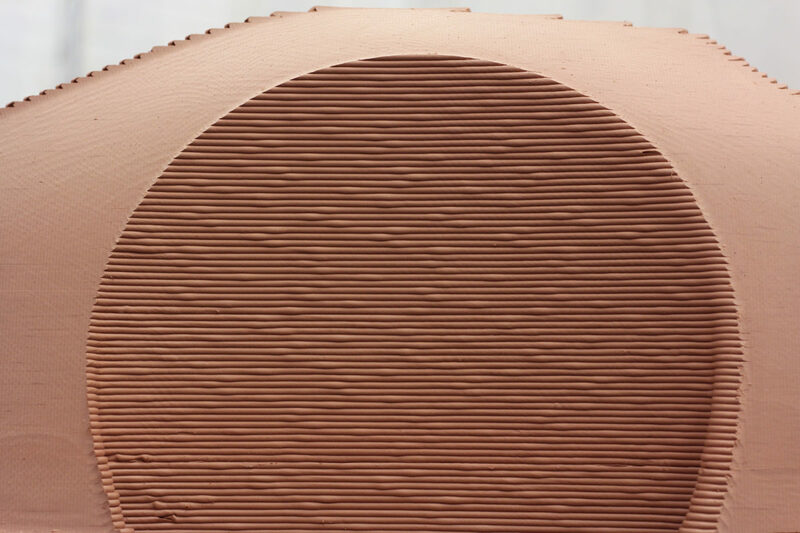 This technology promotes the creative freedom clay offers; at the same time, designers can now leverage the efficiency, geometric complexity and programming simplicity of additive processes. 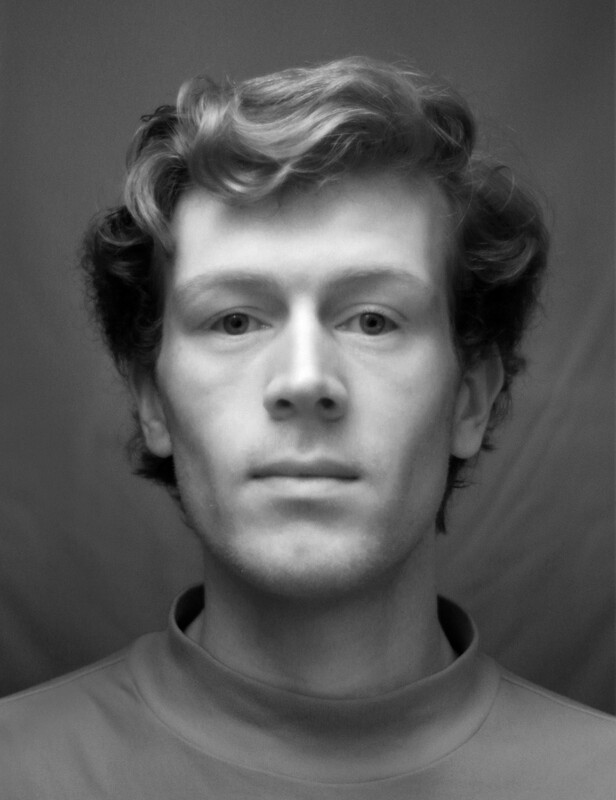 Arthur Prior is a Marie Curie Researcher at the Bartlett school of Architecture, London. He is currently pursuing practice-based research into hybrid manufacturing processes, employing the use of both additive and subtractive fabrication strategies.